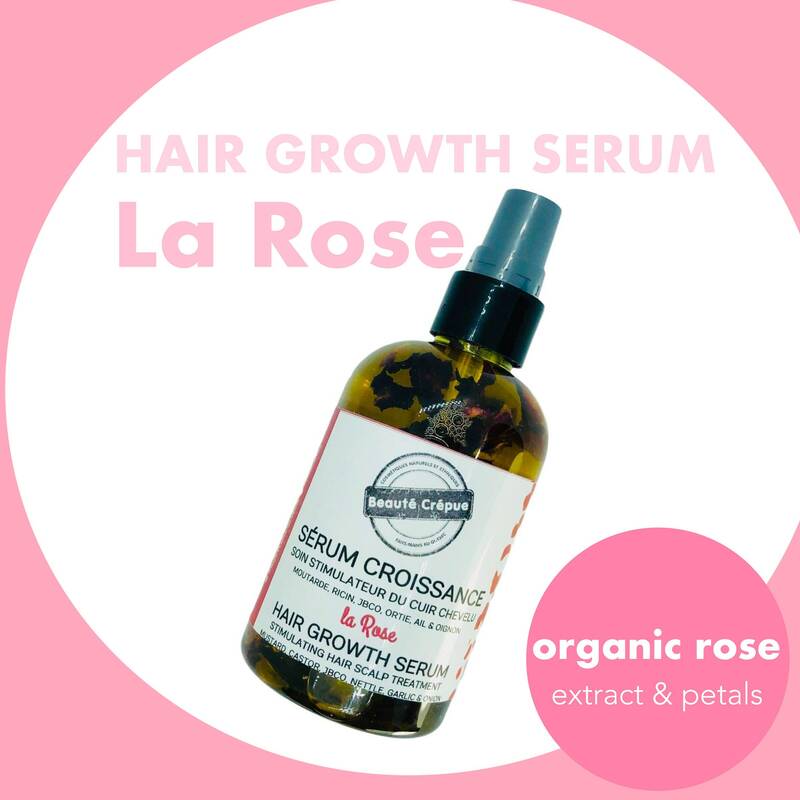 Our Hair Growth Serum with Rose Extract for scalp treatment is a blend of natural oils, essential oils and plant extracts to promote efficient growth of healthy hair and stimulate hair follicles. 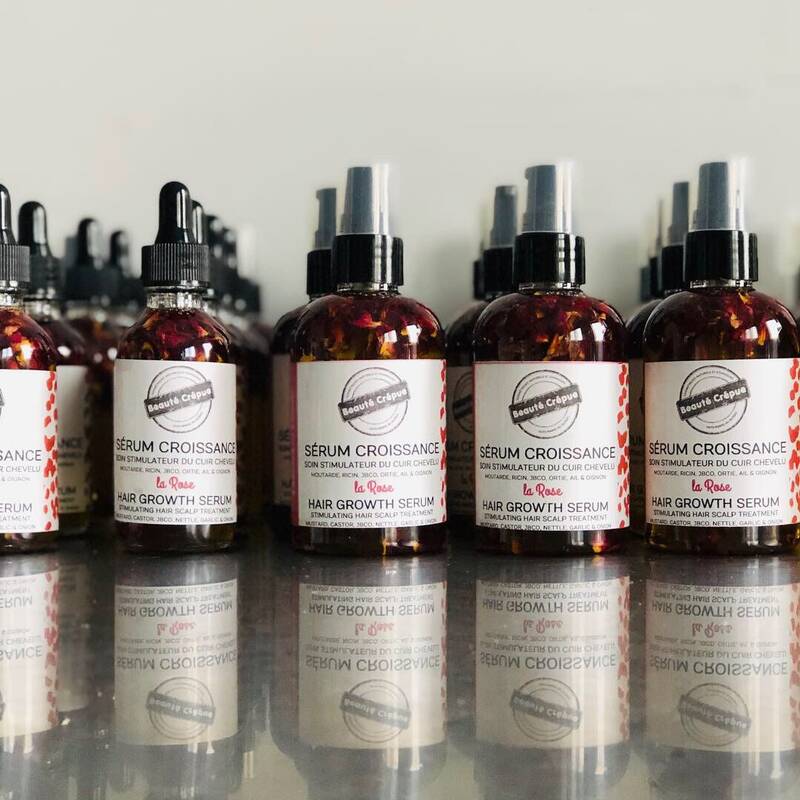 Massage the scalp with the Growth Serum daily to improve blood circulation and stimulate the growth of your hair. Ingredients: Macerat of Organic Garlic, Organic Onion and Nettle in Olive and Grapeseed Oils, Organic Rose Flower, Castor Oil, Jamaican Black Castor Oil, Mustard Oil, Organic Hemp Oil, Avocado Oil, Organic Coconut Oil, Organic Rosemary Essential Oil, Organic Bay Saint Thomas Essential Oil, Nard Jatamansi Essential Oil, Vitamin E, Organic Rose Petals. - Organic Garlic: Prevents and stops hair loss. Promotes hair growth . Stimulates hair growth. Strengthens the hair structure. - Organic Onion: Contains a large amount of sulfur which plays an important role in the synthesis and the formation of keratin. Prevents and stops hair loss. Promotes hair growth . Stimulates hair growth. Strengthens the hair structure. - Olive Oil: This oil protects and softens the skin, and gives strength and shine to hair. - Grapeseed Oil: This oil nourishes and repairs fine hair, brittle, damaged. - Jamaican Black Castor Oil (Jamaican Black Castor Oil): Strengthens hair. Promotes hair growth. - Castor oil: Strengthens hair. Promotes hair growth. - Organic Mustard oil: powerful oil known to stimulate hair growth and fight against hair loss. This oil stimulates blood circulation in the scalp. - Avocado Oil: Strengthens and stimulates a fragile and dry hair. It beautifies and brings shine and strength to hair. - Organic Coconut Oil: nourishes, smoothes and beautifies the hair fiber. - Organic Rosemary essential oil: Slows hair loss. Promotes hair growth. - Organic Bay Saint Thomas essential oil : Slow hair loss. Encourages growth and reduces dandruff. - Nard Jatamansi essential oil : Very famous for promoting hair growth. - Vitamin E: natural antioxidant. Protects the oil from rancidity.